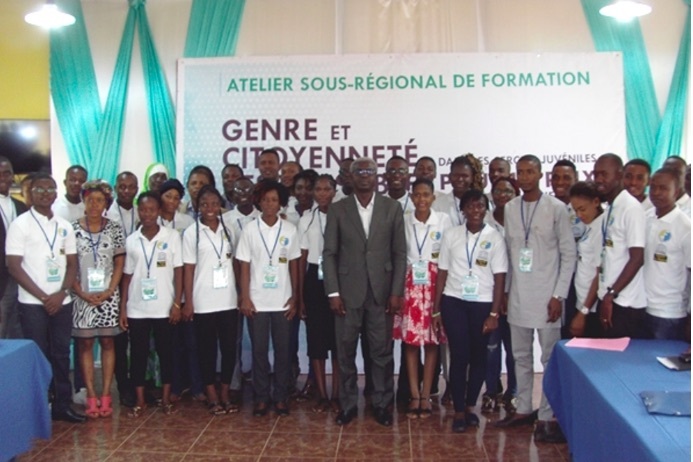 “Gender and responsible citizenship in youth circles for peace in West Africa”: this is the theme that, since 22 January 2019 in Lomé, has brought together some one hundred young people from nine countries in the sub-region . For four days, these young people will be equipped to work collectively in the West African region to reduce of conflicts and to bring peace. The training will include conflict prevention and the culture of peace, civic democracy, the notion of female leadership in the African context, etc. “It’s about empowering these leaders to work collectively in the region to reduce conflict, in line with UN Security Council Resolutions 2250 and 1325. These conflicts affect especilly young people and women,” said Edoward Pilewa Karoue, President of the International Catholic Students Movement (IMCS). The countries represented are Benin, Burkina Faso, Côte d’Ivoire, Ghana, Mali, Niger, Nigeria, Senegal and Togo.